The MXR M134 Stereo Chorus is used by Slash. 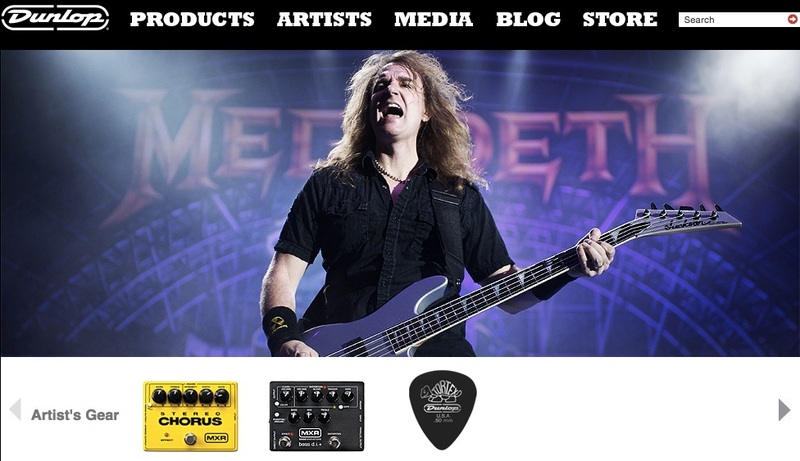 Both David Ellefson & [Robert Trujillo](http://equipboard.com/pros/robert-trujillo/mxr-m134-stereo-chorus) use an MXR M134 Stereo Chorus according to Dunlop's [official site](http://www.jimdunlop.com/artist/david-ellefson). Musically voiced Rate and Width controls. Bass and Treble controls for EQing the chorus voice. Stereo outputs for huge tonal spread. The MXR Stereo Chorus can be spotted on Ben Gibbard's pedalboard in this Premier Guitar Rig Rundown video at (18:00). As researched extensively by Wolf Marshall in his book, "An Annotated Guide to the Guitar Technique of Randy Rhoads" and listed on guitargeek.com, the MXR M134 Stereo Chorus used by Randy Rhoads. The MXR M134 Stereo Chorus, used by Robert Trujillo. 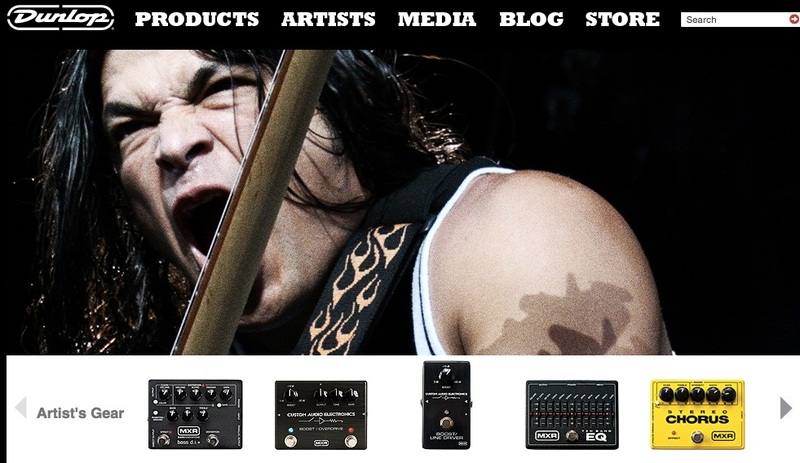 This is according to [Robert's page](http://www.jimdunlop.com/artist/robert-trujillo) on Dunlop's official site. In this instagram photo we see that Matty uses the Stereo Chorus. In this Instagram photo the MXR M134 Stereo Chorus can be found besides the ProCo Rat 2 and it can be heard on "Girls", "Settle Down", "Heart Out" and "Pressure". As for effects in Adler's signal path, he has a rackmount dbx 266XL Compressor/Gate, a Boss TU-2 Tuner, Boss NS-2 Noise Suppressor, and a MXR Stereo Chrous (that only comes on when Adler plays clean to "thicken up" the tone), and a custom-made (by Mesa/Boogie) amp switcher. Dean Brown says: I love the way this Acoustic 134 sounds. Solid State, but very heavy. Back in the day, Mike Stern used to use two of these bad boys with an MXR stereo chorus. The jazz sound of the late 70s! According to this scanned copy of the publication *The Armoury Show*, John is shown as using a "Stereo Chorus" in his pedalboard. 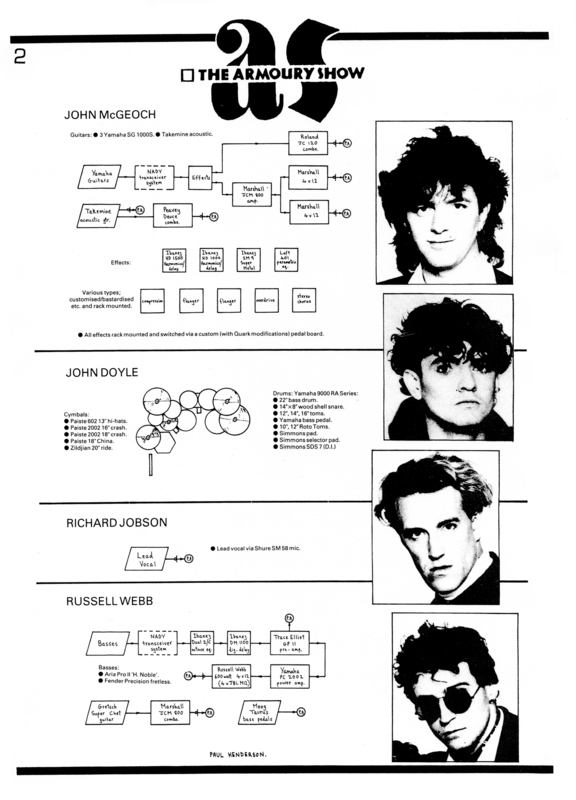 In [this article](http://www.armouryshow.com/media/interviews/1985-11-00_The_Guitarist-John_mcgeoch_01.jpg) from the same publication John says "All the effects are MXR except the overdrive" which proves John's use of the MXR M134. [The EffectsBay website](http://www.effectsbay.com/2019/03/the-cure-in-africa-pedalboards-of-robert-smith-and-reeves-gabrels/) shared some pictures posted to Reeves' Facebook page. The image showing his bass pedalboard features a M234 pedal. The MXR M134 Stereo Chorus is listed among a full list of gear on the [Swim Studio page](http://www.colinewman.com/studio.html), Colin Newman's of [Colin Newman & Corrado Izzo](http://equipboard.com/band/colin-newman-corrado-izzo), [Wire](http://equipboard.com/band/wire), [Githead](http://equipboard.com/band/githead) studio. Trevor remembers using this chorus pedal. According to Premier Guitar, Rowsell uses the MXR M134 Stereo Chorus pedal. According to Premier Guitar, Oddie uses the MXR M134 Stereo Chorus pedal. On this photo an MXR Stereo Chorus pedal is seen on Richard Bona's pedalboard. According to his official website, An original MXR Stereo Chorus (pictured in yellow) is one of his effects. This image of Lee's pedalboard shows his MXR Stereo Chorus. Since i play an 8 string the bass cut feature is an exceptional tool to keep my low end tight and retaining that choirish vibe on the medium and top end. Super versatile, awesome sound, superb 100% analog construction. No true bypass, but honestly i can't tell the difference in the sound. I also love the blinking led. It blinks in time with the rate of the chorus, it's just cool to have it there and visualize what your doing to your sound. 100% analog circuit, lush and warm tone, huge headroom (runs on 18v) and very tweakable. Probably the best chorus ever which allows user to dial into wide range of sounds - from classic cheesy 80s leads to leslie-a-like and everything in between. It is worth to experiment with its placement. Also you can use as a kind of post-gain EQ. I dig the blinking led light, it allows you to see how fast is the modulation. I used this in my first concert love the sound though.